New Zealand-based brand Wallace Cotton is a destination for all of the above. Consider Wallace Cotton’s velvet range of bedspreads, blankets and cushions that come in sumptuous chartreuse yellow, halcyon blue or olive green. There’s also woollen blankets, cushions, cotton eye masks and nightwear - Wallace Cotton has everything you need for a glorious night’s sleep. 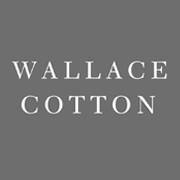 Shop the Wallace Cotton collection.